Sequel to one of the best PC WWII shooters. 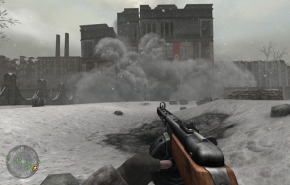 For some reason, ever since "Saving Private Ryan" there has been a never ending string of World War II first person shooters for every platform you can game on. I played Call of Duty on the PC. It was as good as, if not better than Medal of Honor: Allied Assault. What I like about this series, is that it makes you feel like you are just a small part of a larger battle. You are not some unstoppable uber soldier. There is all sorts of things going on around you, and your AI squad mates take on a life of their own. Like the PC prequel. You play through multiple battles as different soldiers. 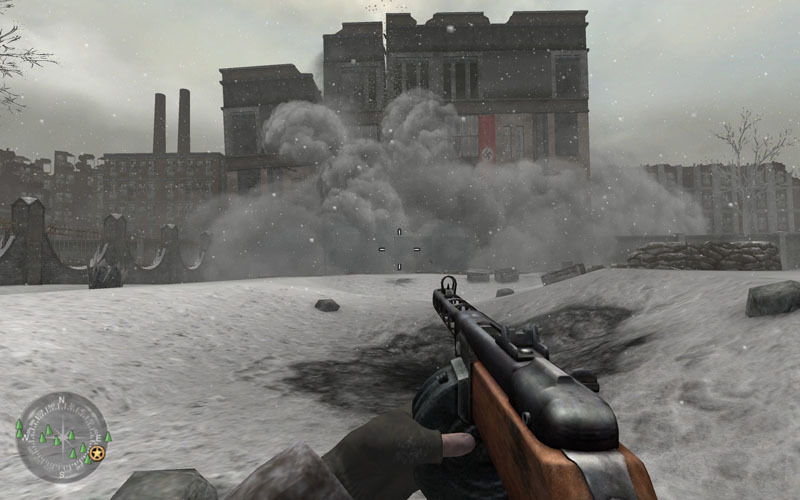 You start COD2 as a member of the Russian army during the frozen battles in Stalingrad. Then you play as a British Trooper in the Africa corps. Finally, you play as an US soldier battling through Europe. The variety helps keep the game interesting.